Get your logo or other custom artwork printed on our small 3" x 0.75" die-cut adhesive labels. They are available in several quantities, ranging from 1,000/roll to 10,000/roll, and are printed on white paper with a glossy finish. 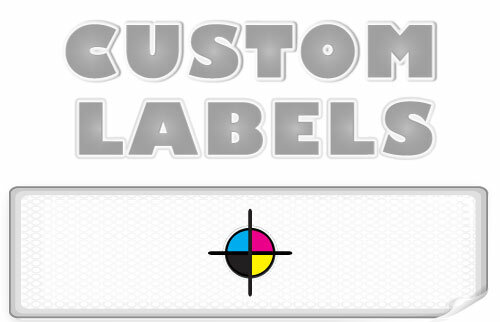 Select the desired quantity of labels and click the buy button to upload your artwork files. A variety of compatible containers are also available when you click the "Add-Ons" button below.